Have you heard of 16/8 fasting? It’s simple, really. 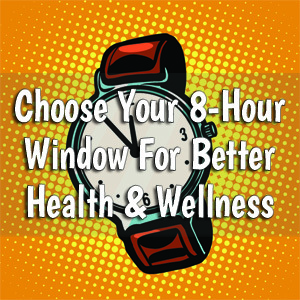 You eat all your meals in an 8-hour window; don’t eat for the following 16 hours. Basically, it’s a version of intermittent fasting. This simple to follow and easy to implement eating plan provides a number of significant health benefits. First off, you can lose excess body weight with 16/8 fasting. Probably the number one fitness goal of most people is to burn off stubborn body fat. Because of the way we eat and the shockingly high amount of processed food we consume, most people are overweight or obese. You probably understand that having excess body weight contributes to a number of avoidable health problems. Being overweight increases the odds you will become diabetic, and excess fat around the midsection puts unneeded pressure on your organs. Your risks of heart disease, heart attack, and stroke all skyrocket when you are overweight or obese. And there are, of course, the self-esteem issues some overweight people experience. The 16/8 intermittent fasting (IF) plan can help you avoid all these problems because it is a very effective way to help you drop unwanted weight. Aside from helping you control your body weight, this type of fasting plan has been proven to increase your brainpower. The Healthline website points to research which shows fasting for 16 hours each day has pretty quick and positive benefits. It impacts your memory, organization skills, planning, focus, and level of alertness. 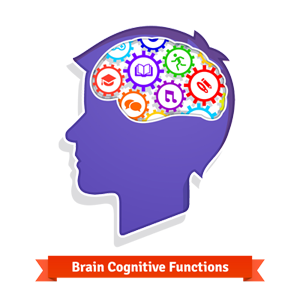 It also contributes to better overall cognitive function. The changes that happen to your metabolism can be traced down to the cellular level. You actually change the way your body functions when you fast regularly. You can try the 16/8 fasting for a couple of days a week or several days in a row. The best effects come when you follow this intermittent fasting schedule most of the days during the week. Some people like to fast this way from Monday through Friday, and then eat however they like on the weekends. You should be eating healthy fruits and vegetables, lots of whole grains, nuts and seeds. Your beef should be grass-fed, fish should be wild-caught, and poultry free-range and living off of the land. Those are smart eating habits you should adopt regardless of any type of fasting regimen. If nothing else, you should at least avoid drinking, or reduce your intake of, carbohydrate-filled, sugar-rich beverages. By the way, you should do this whether or not you follow any weight loss program. Additionally, you don’t have to necessarily change what you eat. If you haven’t yet adopted healthy eating habits, you should at least try to make better food choices… start eating clean, healthy food. However, even if you don’t, you will see dramatic changes. You will see changes to your body and your brainpower if you confine all your eating activity to a given day within an 8-hour window. The human growth hormone (HGH) is essential for health and wellness. It is so good for building muscle, burning fat, improving mental function, and optimizing blood sugar levels that HGH supplements are banned in many professional sports. Your body creates HGH naturally, and the 16/8 fasting plan increases the amount of this health and wellness hormone. HGH is important for cellular health and regeneration, which means significant improvements from head to toe. Additionally, regular fasting contributes to a process called neuronal autophagy. Research conducted by Mehrdad Alirezaei and William B. Kiosses shows that fasting triggers autophagy. This is a process that removes toxins, poisons, and other waste materials from your body while repairing damaged cells. Other studies indicate that this intermittent fasting plan may actually protect you against chronic disease by boosting your immune system. Additionally, it appears that your brain ages at a slower than normal rate. It’s nice to know you can boost your health in so many ways simply by confining your eating to an 8-hour time frame each day. If this seems difficult for you, try it out a couple of days a week. Don’t go to bed for 3 or 4 hours after your final meal of the day. Schedule yourself for a full 8 hours of sleep. Then enjoy your first meal 4 or 5 hours after you awaken. Many people discover they eat less and are not as hungry when they fast intermittently. You may find, like others, that this is a simple and convenient way for you to reach your health and fitness goals. Keep in mind this may not be for everyone, so check with your physician or other medical or health professional. If you get the green light, then try this for better health.